There is a common saying in my language by the elders that goes thus “ndu ogonogo anidinma na ahudimma” which when translated into English means “The journey to a long life and good health will depend on how well we protect and manage our environment”. Our forefathers did not cut down trees without replacing them. They did not graze the fields with their domestic animals without shifting or alternating grazing patterns. They did not also farm the lands without a shifting cultivation culture. Some of the foods they ate and some of the fruits they used for making soap, oil, and paint were nurtured from generations to generations. Some of these trees lived for hundreds of years. The mango trees, the orange trees and the cashew trees that I ate from when I was growing up are still there. 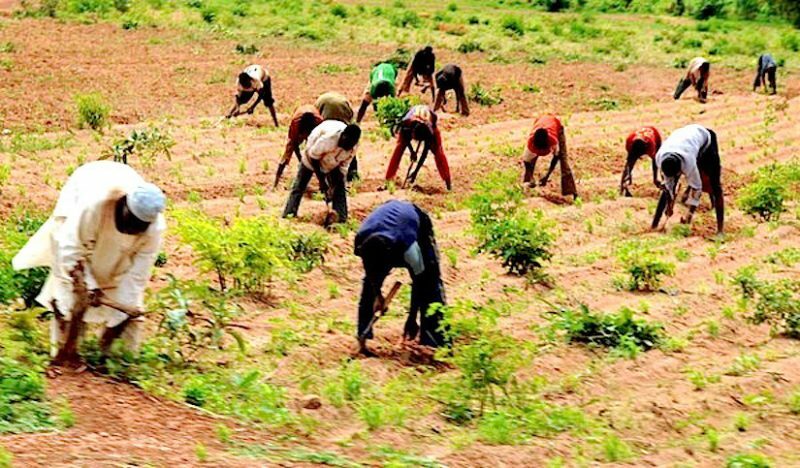 The neem trees, the Jatropha trees, and the rubber trees that gave us oil and rubber were planted all over the southern and northern parts of Nigeria. These trees have continued to produce. Those before us did not cut them down without replacing them. As a result, they did not have floods and they did not have erosions. They did not have air pollution, their lands were filled with nutrients and we could easily consume the food germinated without the aid of fertilizer. It was also nice to know that a lot of the fruits and vegetables we ate came from birds and animals that migrated from other lands and brought with them fruits and seeds. All that gave us the bio-diversity we have today. The sad news is that some of those animals no longer migrate to Nigeria because of the climate change and because most of our forests have been turned to savannahs and in some places, deserts. This is as a result of the disappearance of the vegetative covers that would normally absorb the rain, thereby resulting in the kinds of flooding we’ve seen recently in Delta, Kogi, Benue, Kano, Kaduna, and Katsina. This wasn’t always the case as there was a time we never had to worry about desertification, in fact, we had rivers and water bodies running through the Sahara and as such, the encroachment of the desert was contained. In the past few years, our waters and rivers have been badly polluted from oil spillages or bad waste management and disposal. Now and then, we hear the government will carry out some clean-up operations maybe once every 10 years, without involving the community and those who own the lands. When the polluted air and the degraded land finally gave rise to certain disasters, from soot in Port Harcourt to flooding in Benue and some other parts of the country; people lost their homes, health and even lives. The usual response in situations like these is the government and various donor organizations appearing with relief materials and compensation, without putting any mitigating infrastructure. With the population rising astronomically, the need to address poverty alleviation and the current drive for Industrialization and diversification of the economy, there will be pressure on the lands. The pressure on the lands should not stop us from putting back what we take from the land. We must not push the land to a state where it fights back as we have seen in distant nations with their attendant weather crisis. The state of the nation is a topic that widely interests the people in the country. We enjoy consuming news about our politics, our economy, our football, our entertainers e.t.c. A lot of us are very passionate and never fail to engage in a discussion concerning these topics. One topic that I find missing in these discussions is the state of our environment. For the fact that the environment is the most important part of our lives, it should be at the forefront of our Newspaper publications, Television programs, and Radio broadcasts. We simply don’t talk about the deteriorating state of our environment enough. Northern Nigeria is dealing with some of the negative trends of adverse climate condition. This is a region that is plagued by rising temperatures which in turn leads to the expansion of the Sahara into these settlements. The primary vocation of a lot of people in the region ravaged by desertification is Pastoral Herding. They are constantly looking for greener pastures to feed their livestock and in the absence of greenery, they are forced to migrate to other regions in the country to keep their herd alive. This migration from the Northern region to the south and middle belt often result in clashes with farmers as we often see in the news. The southern region isn’t exempt from the negative climate conditions. There has been an increase in the levels of rainfall which has caused severe floods and rising sea levels in some regions. The solution to the climate situation is more than awareness. As much as awareness can also help to propagate the agenda, it needs to be done at the grassroots. We need to find a way to spread this information to the average Nigerian in a way that they can understand. Government policies need to be revised in such a way that it prioritizes the environment. We don’t have to wait until we have severe climate conditions to prioritize the land else the consequences of the adverse climate conditions will be very severe. We have heard of mudslides with thousands of deaths, we have seen floods everywhere that damage homes, farmlands, and properties. We have also seen lately, bushfires that have destroyed homes and towns. It’s time to ask ourselves when it will be serious enough for us to act and demand action. I will therefore end with a position that I have taken in my writings and lectures over the years and that is, we should never take more from the land than we have put back into it unless we will not be able to leave the land a better place than we met it which will be such a shame.